You currently require 5999 productivity to go from 0 to max XP. That's 83 days of XP focused on combat. I've the feeling that you've written this bit but haven't looked at what our updates did to XP distribution a while ago! And a few professions have received new recipes that make them quite a lot faster to level up as well. Plus there's an upcoming update that'll make it even more streamlined. Furthermore, with your starting stats, you can now take on most things that once required a veteran player to handle. The bar has been moved already! Quickly gonna answer as I'm a bit swamped with stuff to do! I'm sure it won't be a perfect answer, but I'll try what I can for now. Part 1: I moved the spawnpoints this morning so that they are only Halfpoint Haven, Drustgarde and the Menhirs port. That should make sure people spawn closer to people. The NPC really needs updating, and I do want to work it over, it's on my todo list. I want to actually math out the XP options VS the gather VS the rest so that they're as fair as possible. Part 2: This needs a lot of thought, but I'm gonna quickly go through an idea I had. *All of these are ideas I had to solve things, and needs investigating to think over how to solve* -Make productivity work as what makes you gain XP, while fatigue can be used to do work that won't progress the char but will still give you an amount of stuff. Essentially increase the types of things you can do but giving you the option to use a renewable resource for it. Needs thinking on how to balance it to not make it overwork. -I want to add farming that uses mainly that mechanic, giving new stuff to allow for faster fatigue removal and other effects -Tools specialised for the work that help you gain more of a specific resource you want (thanks Kogoshi for the idea too) -Need to rework how architect mats are gotten. Either some specialised tool or some command to just get those. I'm reticent to just change prod because a lot of things are keyed off the "value of productivity". And that just means more math. Part 3: Axis is hard at work at the new isle, Vrahn is on vacay till the 16th, Nostra's on leave for personal issues. I am cri. Part 4: I'd love for the system to be more interesting. The recent addition of resistances was to try and help with that, as it gives some depth in how you can counter some stuff. If you'd like to propose some ideas, the BalanceTeam guys on discord are those to speak to. They're the ones in charge of all the mathymaths of combat, and throwing combat abilities at me to code. Part 5: I'll leave this part to answer to Elle, as I put 'em in charge of the Keepers team specifically to solve these issues *shoves work away yey* Part 6: *Hopeful speech about solving issues. I need to get back to work now* Part 7: We need to rediscuss some design on token rarities. One thing we've in the works is trinkets, too, which should add another dimension to equipment. They can even add new abilities! An updated version of the map given our recent developments. Introduction "We invite you, brave adventurers, to explore lands uncharted and locked away, cut off from Stormwind and Orgrimmar, from your friends and families. Will you conquer the Doldrums or will you become another lost soul?" 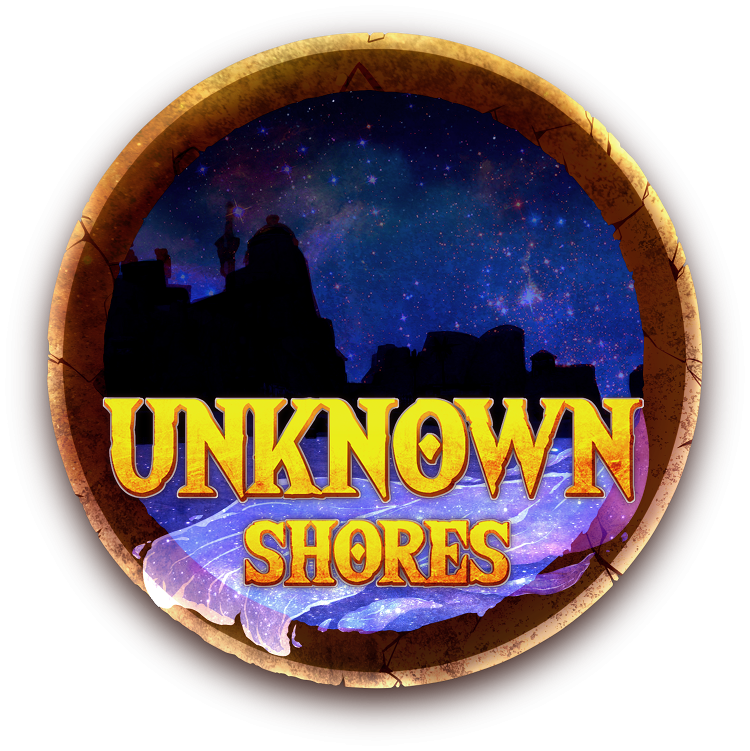 Unknown Shores is a World of Warcraft roleplay server, built over Legion 7.1.5, with a plethora of custom crafted game mechanics centered on giving you, the player, the tools to bring the change you want in the world of the Doldrums! Grom’Thar. A player guild base with a mix of world-editing and player-spawned objects through the architect profession. Interactive World For anyone unfamiliar, private servers benefit from the ability to create anything that you can imagine, we have taken this a step further than most servers and given our players unprecedented abilities to interact with and roleplay within the Warcraft setting. Using a tool we call the DMkit we can create custom encounters in the world which can be anything from ambushes to puzzles. D&D Inspired RPG System Our professions are tied into a custom built RPG which replaces the World of Warcraft combat mechanics and professions. This means turn-based combat where you can truly build your character in a manner similar to tabletop RPGs like Dungeons and Dragons or Pathfinder. This extends to player professions, which are split between gathering and crafting.The former allows you to gather fish, meat, leather, timber, scrap metal, stone and more whilst the latter can help you make food, armour, weapons, enchantments, bandages and beer or building your own base. Architect One of our professions is the ‘architecture’ which allows players to craft and place in-game objects. This can be anything from the construction of fortifications to simply adding a bit of clutter to a personal dwelling. This particular profession is an incredible tool that gives players the ability to directly edit and modify the world in building camps, forts or whatever they fancy, though be wary not to build your home-from-home somewhere hostile! Fort Drustgarde / Port Sabella / Egtown / Flotsam / The Port of a Thousand Names. A 100% player-made settlement using the architect profession. Custom Lore and Maps Unknown Shores takes place on a set of islands in an area known as the Doldrums, a strange place which is largely unknown in the wider world of Azeroth. Similar to the Bermuda triangle, it is a place which draws in those unfortunate enough to come to close and through mystical means prevents those trapped there from leaving. Using the map making tool noggit, our editors have built a set of islands for you to explore and exploit, with more islands in the works featuring new secrets, encounters and biomes previously not seen on the Unknown Shores. Whilst indeed many of the characters and locations will seem unfamiliar, organisations and banners will crop up on occasion, be it the golden anchor of Kul’Tiras upon the isle of Sotoras or the Zandalari of Bluegill Arch. Dedicated Staff Unknown Shores has a dedicated staff team focused on various aspects of managing a roleplay server with our focus being on creating a friendly environment that reacts to your character's actions. Actions have consequences! Create Your Own Adventure Beyond the tools described above, we offer anyone who wishes to the ability to become a Dungeon Master with the powers and support of the staff team to create their own storylines within our setting. Do you want to take the adventurers on a expedition into the jungles of Opej, or perhaps craft a dungeon for them to discover? Anything is possible and we’ll be here to help you in every way we can. How we hire people: Every time an application is posted, we make a temporary staff channel to discuss it. The thread is linked, and we talk with the entire staff point per point on who this person is, what would it contribute, or which problems could they bring. We look into what they've been saying and doing in game and in discord. After the initial discussion is solved and if we don't find something that'd outright deny it (Has yet to happen, fyi), we make a new channel in discord with staff and this person. We proceed to interview them, ask questions, and keep speaking back and forth with them. Eventually we make a decision, and said decision is communicated to the applicant. Nowhere in that "Varen's personal list" comes into factor. It is true I have a list of people I want to hire, because I look at the server, the community, and I see some people who shine through. They're not my friends, or family, just people I look at and see "Damn they're good at RP and they are cool to be around". There're no "Limited slots to fill" on staff where "Priority" would apply.. They know who they are because I went up to them and said "hey, why don't you apply? You'd probably do good". The process would be the same. The interview, the whole staff discussion. It's not up to just me. We haven't refused anyone who was "perfectly qualified" for the job. Being "perfectly qualified" includes but is not limited to: Providing quality roleplay, following the server actively, being able to work with the staff we have, not being prone to punishment in game or on discord, having the ability of handling the requirements of the position at hand (tickets for helpers, etcetera). So far, we've had very little in terms of feedback on these forums. Memes on discord and jokes, surely, we've had a lot of those. 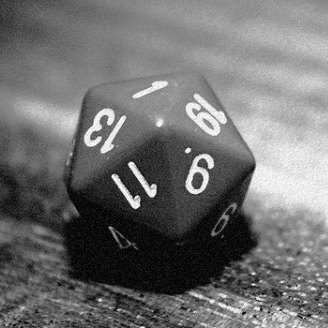 When it comes to proper, structured feedback, we've had ones related to systems and the RPG, and ones that weren't suited for public complaints. The first were / are being considered, the latter were all answered so far. We had cases of a few that went in public that were then moved in private, and answered there, due to wild inaccuracies of claims / claims repeated that were already answered, whose answer was ignored and put in public for.. Nothing more than having to repeat the very same answers, but this time, by publicising the roleplay around it for everyone to know. We had two such cases: -The Gyreworm -The demon cave Both times this was done by staff who had just started work as a Keeper and had not inquired for the state of the world, or did not have access to the lore required to properly portray those terms due to, pretty much, not having been given the right rank on the forums. The missing logging you're speaking of was related to the event having ended a mere few hours before, and the DM going to sleep immediately after. Had the DM at hand been keeping up with the story, they'd know to refeer to said person before touching that area. Again, new people, growing pains of learning to work together. I can answer the bit that involves my experience: My character has repeatedly lost more and more, to the point where all they have is themselves, some resources, and another person around. A character that was involved naturally through RP, and the fact the guild master of the guild I joined to -just make some mystic stuff with- left things on my lap to handle. Now I don't seek out that roleplay, but if it happens, it happens, and I won't be pushing my character away from it "OOCly" to avoid it. I'll stop being involved with the staff section of it, and leave it to others to handle. Other staff members can speak for themselves, but I believe that there's not a single one of them who would touch a story they're involved with unless it's absolutely necessary to do so, and if they do, there's the rest of the staff to keep an eye on them. And this is one of the things I look for, when hiring people. Being able to be objective in such matters. We don't want NPCs to compete with players on resources. 25 means they're expensive, and that you should look for players to buy them first. We -do- want to add more uses for silver, but these uses should be for something that players cannot already do on their own. I always welcome Gnomes that aren't in for the memes. Hallo. Why hello mister, been a while since I last saw you. I'm sorry I misheard, did you just say you wanted more void elves? I can look into it, sure.